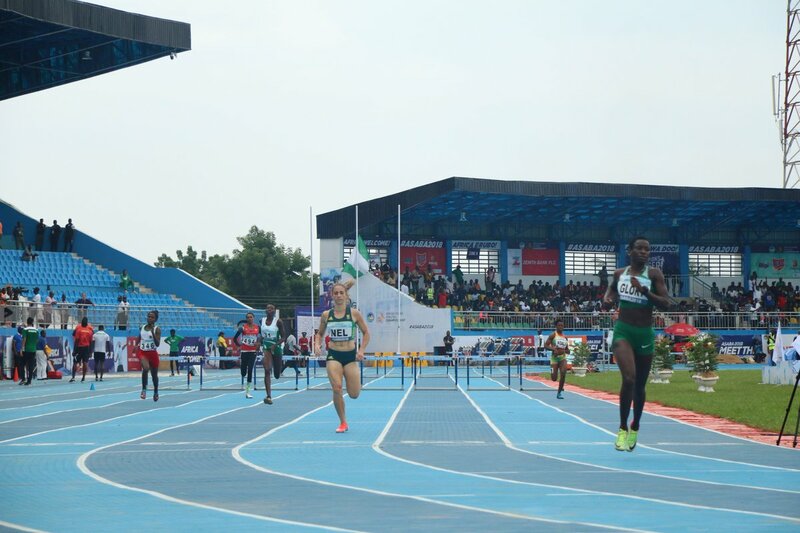 The quartet of Divine Oduduru, Nathaniel Glory, 4X400m (women’s relay team) and 4X400m (men’s relay team) won respective medals on the final day (Day 5) to take Nigeria’s medal haul to 19 at the African Senior Athletics Championship in Asaba, Delta State. Divine Oduduru won silver in the 200m with a time of 20.60s as he fended off bronze medallist Luxolo Adams of South Africa (20.60s). Ncincililii Titi of South Africa won the race’s gold medal in 20.46s. In the 400m hurdles, Nathaniel Glory won gold with the time of 55.53s ahead of Moroccan silver medallist Lamaie Lhabz (56.66s) and South African bronze medallist Wenda Nel (57.04s). In the men’s 4X400 relay race, Nigeria settled for the bronze medal (3.04.88s) behind silver medal recipient South Africa (3.03.50s) and gold medal recipient Kenya (3.00.92s). Nigeria, however, won gold in the women’s relay race with a time of 3.31.37s ahead of silver medal recipient Kenya (3.35.45s) and bronze medal recipient Zambia (3.38.18s). The aforementioned medals took Nigeria’s medal haul to 19 (nine gold, five silver and five bronze medals). Nigeria finished third behind South Africa (nine gold, thirteen silver and eight bronze medals) and champions Kenya (eleven gold, six silver and two bronze medals) on the final medals table.